It doesn’t contain the normal salt and sugar and horrendous amount of butter. 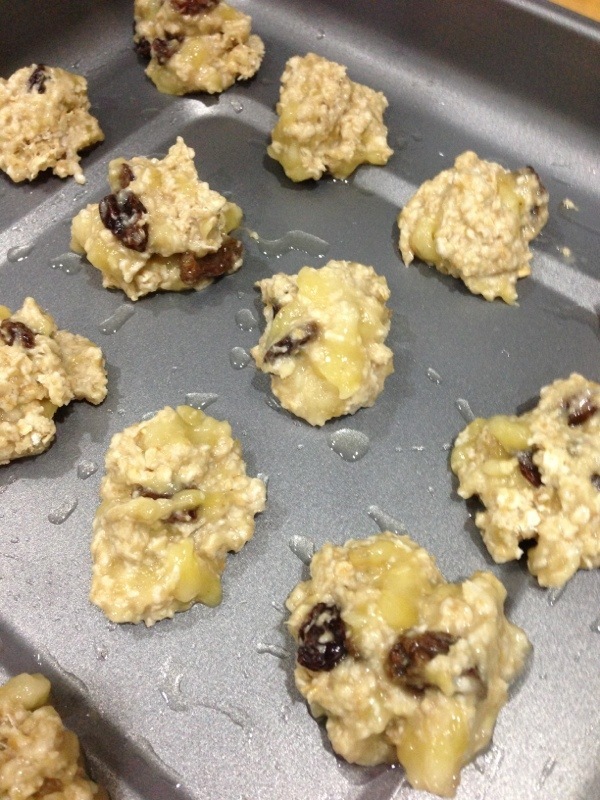 The base ingredients are banana and oats. I used the instant oats. You can add dried fruits. I added some raisins and had the intention to add other fried fruits in the fridge. 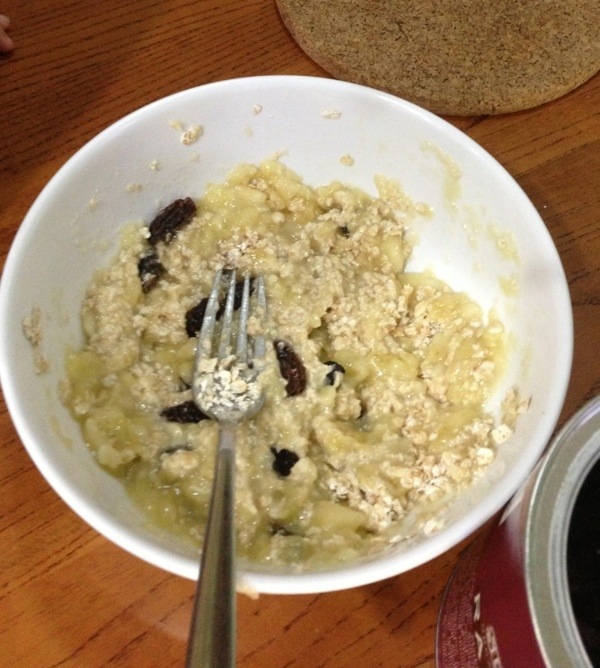 But it’s mission impossible to chop up the dried fruits while carrying 小小宝贝, so we made do with just raisins. It’s so easy that even a 3.5 year old can do it. 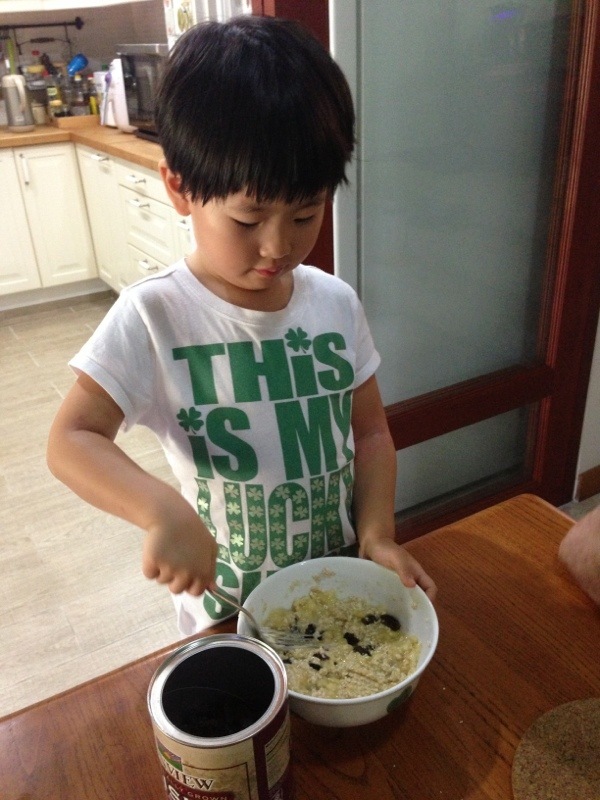 That’s 小宝贝 mashing up the bananas and mixing the oats and raisins. The result of her relentless mashing. She was pretty neat with it and everything remained in the bowl. I helped her scoop them up into little balls and placed them on the greased baking tray. The cookies baking in a pre heated oven of 180°C for 15 minutes. The result!! 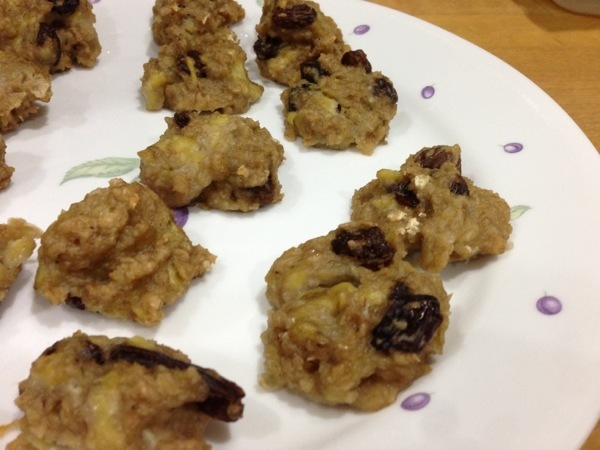 Sticky chewy oat cookies! 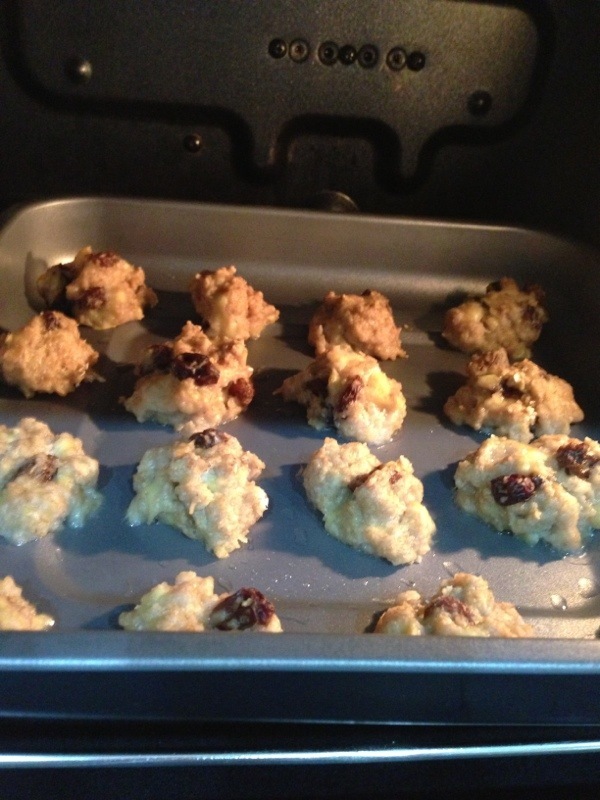 Just make sure you don’t add too much dried fruits that the entire mixture doesn’t stick together. For the detailed people who need exact weight you can follow the recipe here. Recipe from AnnCool journal. Brilliant piece of work. Healthy and yummy! !